Posted on September 16, 2010, in Cuisine, Landscapes/Geography, Tradition and tagged berry, berry picking, cook, cuisine, dark, exporting, Jam, jelly, lingon, martini, Newfoundland, norsement, opportunity, partridge, pie, tickle. Bookmark the permalink. 34 Comments. Hi Lloyd! I take it you like the berries. The Dark Tickle Company does ship and you can order online if you wish to check at http://www.darktickle.com. Hope things are going well for you in Toronto and that you keep enjoying the blog. I REMEMBER IT WELL . EVERY YEAR THIS TIME WE WOULD GO ON THE HILLS AND PICK THE BERRIES FOR OUR MOTHER TO MAKE JAM FOR THE WINTER. IT WAS SO MUCH FUN . WE WOULD PACK OUR LUNCH AND GO FOR THE DAY . HOPING FOR WIND BECAUSE OF THE FLYS . AND EVEN TO THIS DAY I STILL GO. I JUST LOVE IT .I AM NOW 67 YRS YOUNG AND I WILL GO AS LONG AS GOD GIVES ME STRENGTH TO DO SO . Hi Joy! Thank you for adding this comment. It adds to the real experience. One would definitely be wishing for wind to keep the horrid flies away. I am happy to hear that you are keeping the tradition alive! Hi Joan – I am not sure where a good berry patch would be near Lewisporte. Residents up my way flock to the St Anthony airport area, as a past forest fire created an abundance of land for patridge berry picking. Good luck! I do not see them. The Dark Tickle Company does at http://www.darkticklecompany.com. I know this web page offers quality based articles or reviews and other material, is there any other site which presents these kinds of things in quality? point me in the direction oof a good platform. Does anyone know where to go on the avalon,we love these berries also. Any way I’ll be subscribing in your feeds or even I fulfillment you get admission to persistently rapidly. advantage for kick boxing, and any of the Oriental martial arts that use legs and feet for defence. martial arts techniques is what is called avoidance. self-confidence that’s not easily gained elsewhere. Boxing is too, but kick boxing also uses the hand techniques of boxing. The Diabetes Protocol isn’t a miracle approach to diabetes. requesting. You merely require full motivation, concentration, as well as willpower to anticipate best results. Our agency will return to your website and choose up the dumpster after getting finished your job. put up was good. I don’t recognise who you are but definitely you are going to a famous blogger if you happen to aren’t already. Are there worms in partridge berries? Does the first frost drive out the worms? We still pick about 6 gallons for the winter. Love the partridgeberry jam and tarts. we also pick bakeapples. Live off the land, sea and air. This article is very informative, but a heads up. 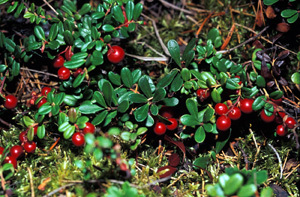 The picture that you used is a picture of bearberry, not patridgeberry. Partridgeberry has rounded leaves, not spatula and they are not as glossy.